The Galloping Beaver: America's Police State . 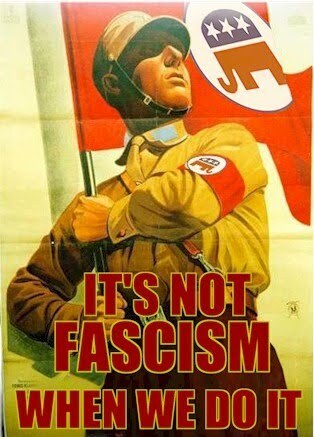 . .
Well, the West is considered fascist and wears that badge of, hate and racism very, very handily. Neither the US nor Canada, have any honor, decency, ethics nor morals, what-so-ever. The idea that the U.S. and Canada are democracy's, is laughable. Police of the U.S. and Canada are deplorable and a disgrace to their uniforms. They should change their shirt colors to Brown. What are American Police doing operating in Canada, exempt from Canadian Laws? Not that Canada has any Laws, that can't be broken by our government.